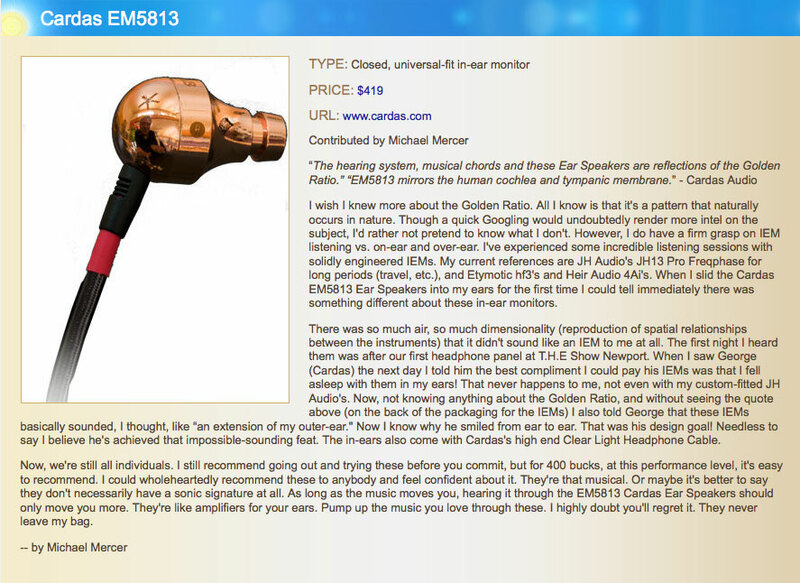 Cardas Ear Speakers are efficient, natural, musical, and are the result of years of meticulous design by George Cardas. 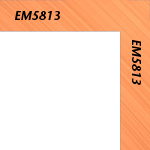 Components of the EM5813 were manufactured in Oregon, California, and The People's Republic of China. Custom alloys were sourced from Italy, Germany and the US, magnets from China, and thin film from Japan. Registration:It is no longer necessary to register your EM5813 Ear Speakers in order to receive the full one-year warranty. 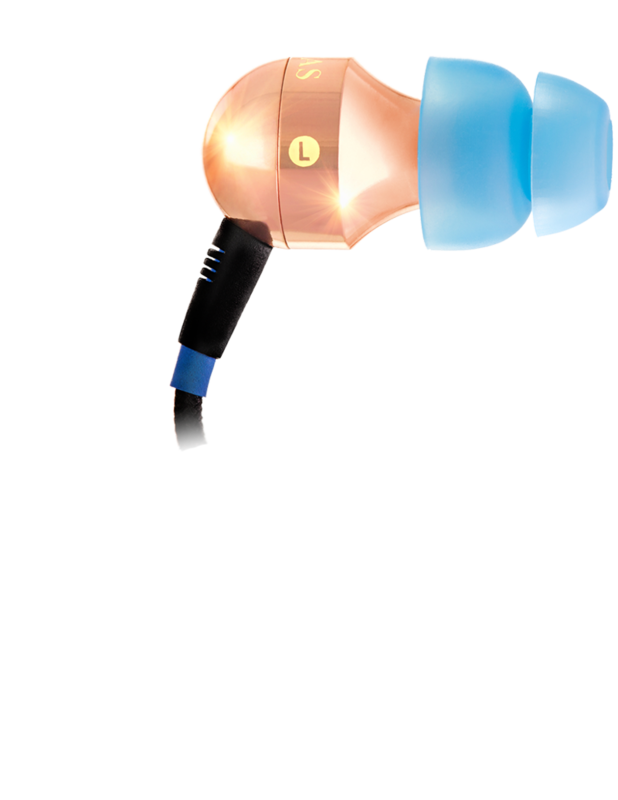 All EM5813 Ear Speakers are warrantied for one year from the date of purchase. The Chris Martens review in The Absolute Sound"
Garrett Hongo's review on Soundstage Experience"
"The vocals are superb and bone-chillingly musical"
"I find myself just getting sucked into the music more and more"
"The detail, upper, mid, low are awesome"